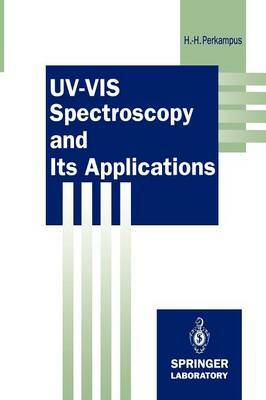 UV-VIS spectroscopy is one of the oldest methods in molecular spectroscopy. The definitive formulation of the Bouguer-Lambert- Beer law in 1852 created the basis for the quantitative evaluation of absorption measurements at an early date. This led firstly to colorimetry, then to photometry and finally to spectrophotometry. This evolution ran parallel with the development of detectors for measuring light intensities, i.e. from the human eye via the photo- element and photocell, to the photomultiplier and from the photo- graphic plate to the present silicon-diode detector both of which allow simultaneous measurement of the complete spectrum. With the development of quantum chemistry, increasing atten- tion was paid to the correlation between light absorption and the structure of matter with the result that in recent decades a number of excellent discussions of the theory of electronic spectroscopy (UV-VIS and luminescence sp,~ctroscopy) have been published. Consequently, this extremely ivteresting aspect of molecular spec- troscopy has dominated the teaching of the subject both in my own lectures and those of others. However, it is often overlooked that, in addition to the theory, applications of spectroscopic methods are of particular interest to scientists. For this reason, a lecture series about electronic spectroscopy given in the Institute for Physical Chemistry at the Heinrich-Heine-University in Dusseldorf was supplemented by one about "UV-VIS spectroscopy and its applications". This formed the basis of the present book.